Where to Stay in San Francisco on a Budget – Tour Guide Mark – Let's Go Exploring! 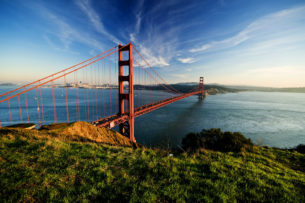 Where can a frugal traveler stay in ultra-expensive San Francisco? These are friendly, clean, and safe hostels to help you explore this world-class city while not wrecking your budget. The Adelaide is a few blocks west of the centrally located Union Square. 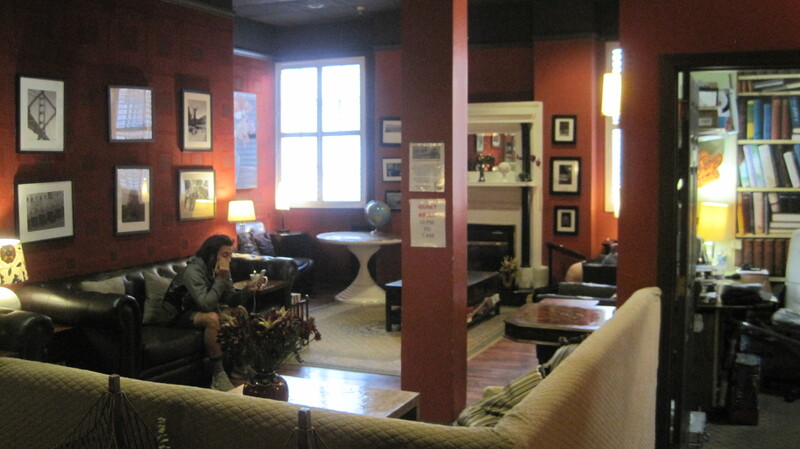 The hostel’s name originates from a former owner’s love of his Australian hometown. 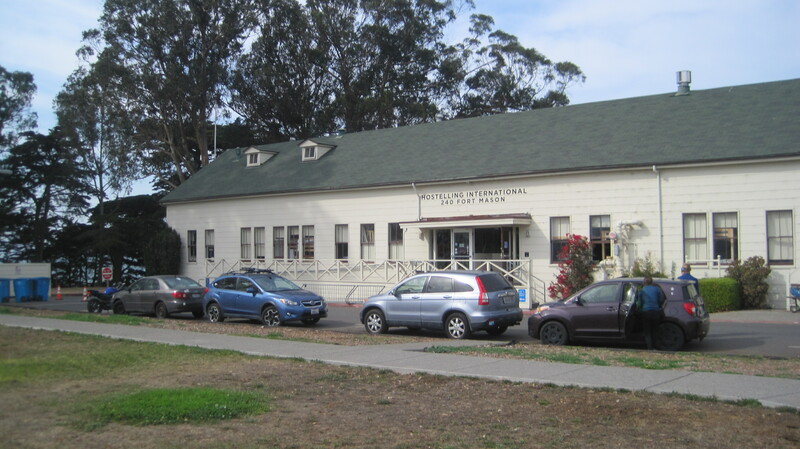 This is an older building, but the architecture’s warm color palette and modern facilities only compliment the charm. The kitchen and dining areas are clean and there are nights where the hostel prepares meals for guests. In the morning make sure to grab a bowl of complimentary oatmeal and orange juice. A quiet area on the main floor is a great place to read and work on a laptop. The staff is very knowledgeable about local places to eat and go sightseeing. Expect some street noise if the windows are open, but earplugs will take care of most extraneous sounds. 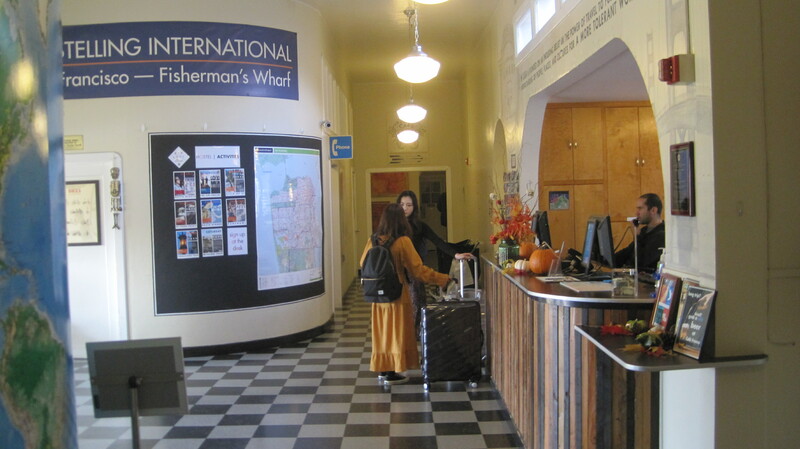 All of the HI hostels in the bay area great places to stay, but Fort Mason takes the cake just because of its proximity to the Marina District, Fisherman’s Wharf, and Ghirardelli Square. The hostel retains the crispness and presentation of the building’s military history. The kitchen is sizeable and the common area includes a pool table. 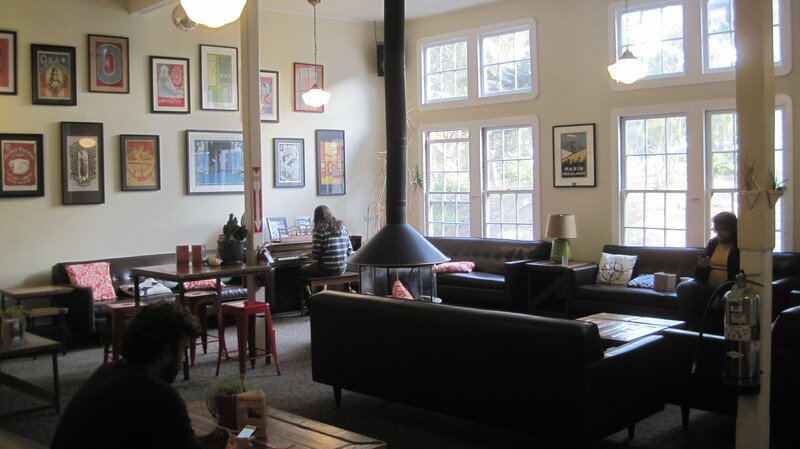 Nearby is a small coffee shop that offers pastries and cookies. A palatial quiet room on the main floor offers a respite for computer work, reading, or just hanging out. A grocery store (the Marina Safeway) is about half a mile away if you need to resupply. If you want to explore the city, a Cable Car turnaround is a short walk away. The staff is very friendly and helpful and went the extra distance to answer some of my questions. I really appreciate the hostel’s extra activities, which included area hikes led by knowledgeable locals. Don’t let the unassuming street entrance adjacent to a Hunan restaurant fool you, the Pacific Tradewinds Hostel is clean, modern, and has a friendly staff. 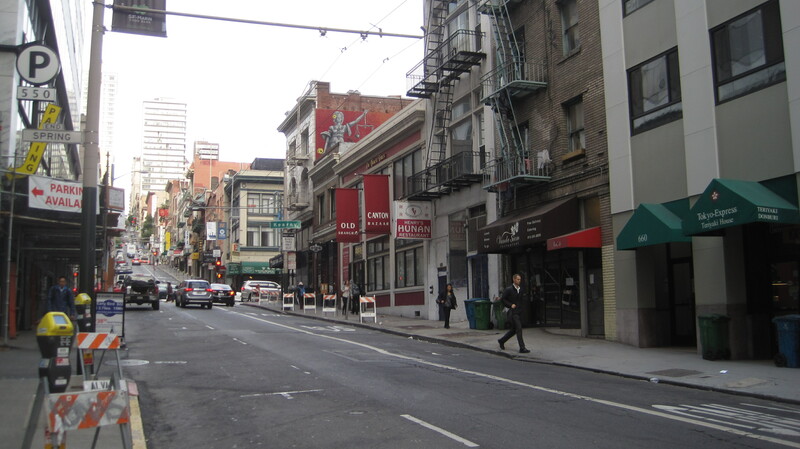 Located near Chinatown, this hostel is centrally located to downtown and North Beach clubs. Be aware, this is a social hostel (aka a party hostel!) and is usually frequented by a younger crowd. 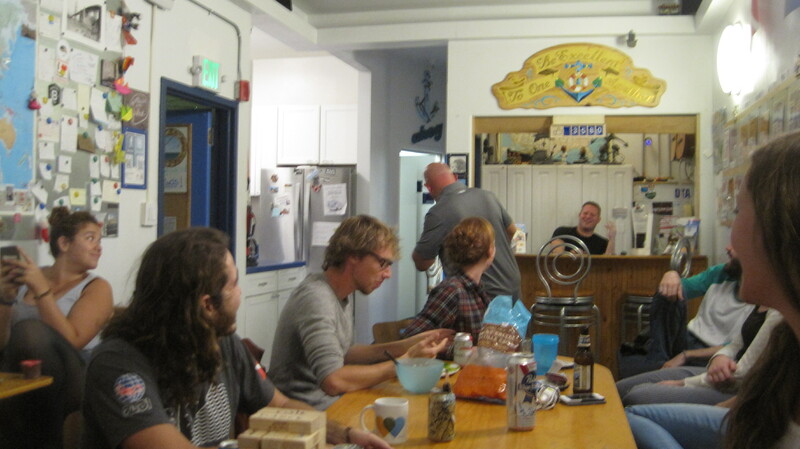 The hostel’s main room can quickly become busy and an innocent game of Jenga can turn into a (friendly) beer drinking competition. Bring earplugs as street noise at the night can keep you up. The hostel has a small kitchen with all the amenities. The hostel staff leads tours and clubbing excursions throughout the week. 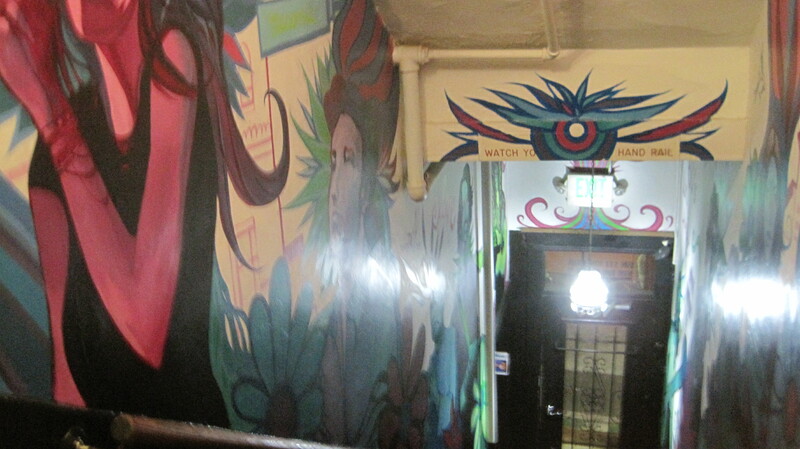 All of the above-mentioned hostels run about $50 a night. Make sure to bring a small travel lock to secure any items in a locker, as well as shower shoes and extra soap. To avoid the crowds in San Francisco, the best time for visiting is mid-October through March.